And if you're really busy, you're probably also looking for a way to get it all done and balance out your life. Whether you're a first year college student looking for advice on how to organize your notes, or a full time employee looking for a better way to manage your time- you're in the right place! Since you're here, something tells me you're the kind of person who loves bright colors, learning new things, and organizing everything around you! Have a hard time making yourself study every day. Feel like you can't seem to put your life together just the way you want it. No matter where you are in life, you want your time to be more productive. You want to a daily schedule that leads you toward your life goals. You're READY to feel organized and in control of your life. But right now, you just feel overwhelmed. You have the power to take control of your time, meet the goals that you set for yourself, and design an organized life that you love! I'll do my best to help you get there! You have big dreams and you can turn into concrete goals that you will achieve. I'll do my best to help you make them a reality! You deserve a positive, organized, and charming life (see what I did there?). My goal is to help you wake up every morning with a confident attitude about your goals! You've got big plans, goals, or dreams and you can turn them into your new reality! Hi! My name is Kirsten Horton and I am IN LOVE with planning, organizing, and teaching! In 2013, I was teaching full time and had just started grad school for education. I loved teaching and going to school, but I felt overwhelmed, frustrated, and like I was struggling to keep my head above water. I needed a better way to balance it all. By actually using the teaching methods I was learning in my education courses, I was able to improve my own grades! The more I learned, the more I shared on OC. As it turns out, there were a lot of college students out there trying their best to balance it all, too! 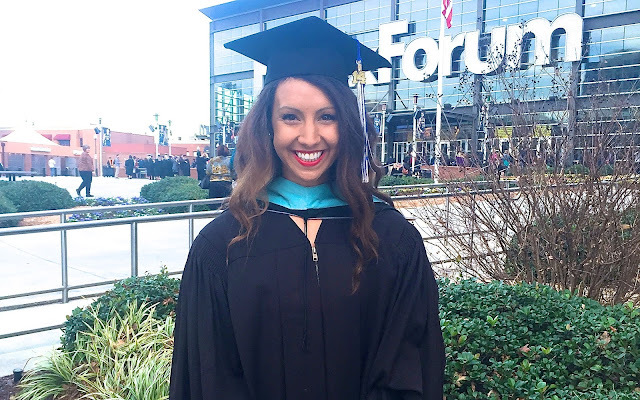 I continued to research and fine tune study strategies and productivity tips, and I eventually finished grad school with a 4.0 (it was the first time I'd achieved that GPA in my life)! Since then, I have taught Kindergarten in three different schools, moved twice, and I recently became a first time mom! No matter what changes I have faced, the routines and systems that I use have made me feel confident and prepared for each new challenge. You can use these routines and systems, too! Through weekly blog posts, daily social media updates, and answering reader requests, Organized Charm helps goal-oriented, hard working, positive students, LIKE YOU achieve their goals! I want to invite you to sign up for weekly posts, delivered straight to your inbox! You can also get daily updates on Instagram! 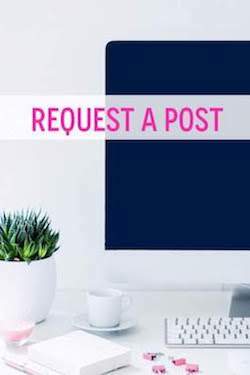 You can also request a post or email me here!